As we celebrate the beginning of 2012, I am reflecting on where we were last year in terms of the immigration debate here in the U.S. Last year, Project Economic Refugee wished for a radical change in the way we framed our national conversation on immigration, particularly in light of the DREAM Act being rejected back then in the U.S. Senate by a measly five votes. We’ve seen some progress on humanizing our debate, in large part because of the tireless energy that immigrant rights activists across the nation continue to dedicate towards this effort. 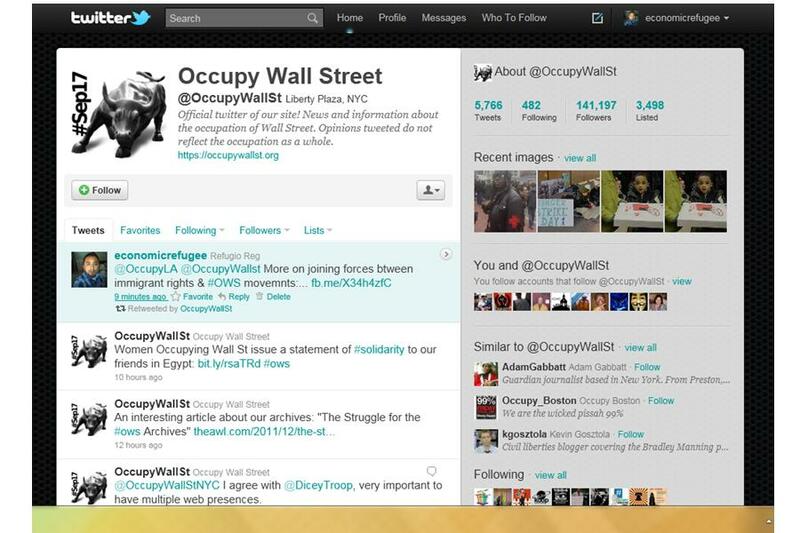 The other promising factor that we have seen is the rise of the Occupy Wall Street movement. We saw some promising signs coming from the Occupy movement that could accelerate a re-think of how we tackle our immigration problems. That was certainly the premise of the Voto Latino piece I wrote for The Huffington Post. The premise being that we must start recognizing that the corporate greed of the 1% is at the root of the humanitarian crisis we currently have at our border with Mexico. Prior to the rise of the Occupy Wall Street movement most people simply did not trace back our broken state of affairs to the root cause of the problem: corporate greed. Part of the reason is that we simply lacked the language to communicate these connections within larger and easy-to-understand frames. The Occupy Wall Street movement and its city-by-city and country-by-country incarnations gave us a simple but powerful meta-brand to build upon. Occupy was everywhere, including Mexico City, which followed a rich tradition of uprisings against poverty for Mexican people in particular. It gave us the “we are the 99%” call to end our rampant social inequalities. As the movement evolves beyond occupied space, it is critical that activists seize on the opportunity to integrate more immigration issues into the fabric of Occupy Wall Street. From the beginning, immigrant rights activists have been involved in the Occupy movement and have injected into it much needed credibility. In the early days of the occupations that sprouted across American cities, the encampments were not seen as having the necessary level of organization for the general public to take them seriously. It was not until the NYPD launched violent crackdowns on the protesters that the traditional media started to pay attention. Thereafter, it was not until more established groups like labor unions, immigrant rights groups, and others started to get involved in the Occupy rallies that the movement boosted its credibility as a force to reckon with. View pictures from the Occupy ICE event in Los Angeles by clicking on this picture. 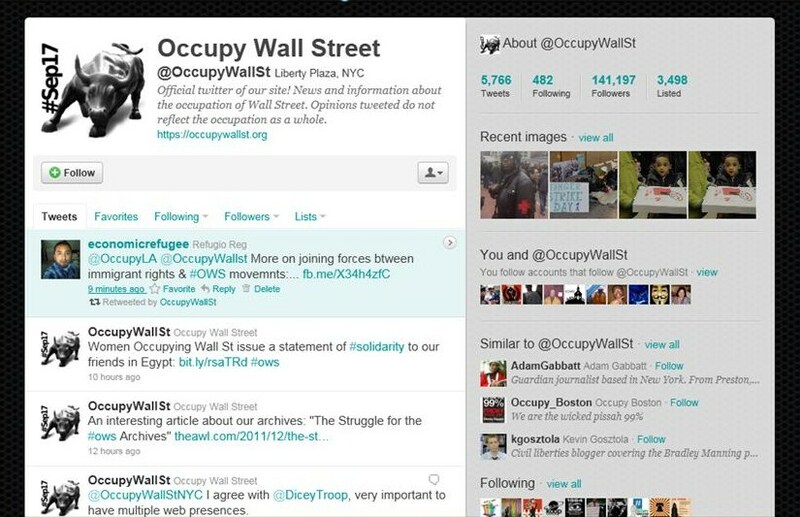 These other more organized groups grew and diversified the face of the Occupiers. No longer were the Occupiers primarily young and white. These groups also brought along with them their supporters, which in turn made the Occupy movement more relatable to a wider and multi-lingual audience. Thus the movement started to include more people of color of all ages and walks of life. No longer was the face of the Occupier just a rebellious white youth wearing a scary mask. The faces became more personable: average working moms, unemployed husbands, families facing foreclosure, etc. The movement then became truly viral and open sourced. There is certainly no shortage of immediate targets that tie right into the message of anti-corporate greed that have an immigration angle. 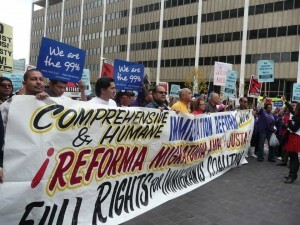 For example, just recently Occupy Birmingham carried out an action against a detention center for immigrants. Occupy Birmingham understood that, outside of immigrant rights circles, it is not as widely known that the prison industrial complex is deliberately profiting from putting immigrants in detention centers for months on end. In essence, these detention centers are the work of the American Legislative Exchange Council (ALEC), a powerful lobby comprised of transnational corporations and powerful right-wing politicians. This is just but one example of many opportunities to work together against the transnational exploitation of workers. As I have said it before, we need to grow together beyond just immigrant rights marches, beyond just tents, and beyond just General Assemblies. We need to advocate for better jobs here in the U.S. and everywhere else, regardless of creed, color, sexual orientation, or immigration status. The greed of the 1% has been turning many of us into economic refugees for quite some time now. Some just happen to be undocumented. This entry was posted in Featured Story, National News. Bookmark the permalink.